Eat, drink and be merry--and support the future of Wil-Mar! 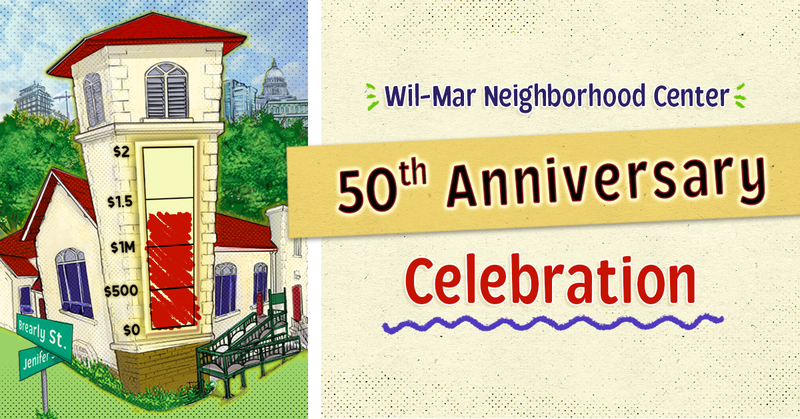 Join us April 13 to celebrate Wil-Mar Neighborhood Center’s 50th Anniversary, and learn more about our work to restore our building! Enjoy Madison's best comfort food (with plenty of vegetarian/vegan options), and an open bar! Daisy Cafe and Cupcakery and the Looking Glass Bakery will bring dessert! Our "birthday balloon" prize game is brand-new, and is going to knock your socks off! The Cajun Strangers and Mal-O-Dua will keep the tunes flowing through the night, and a short program will take place from 6:45-7 p.m.
***Don't want to order your tickets online? Give Beatrice a call at 608-257-4576! Wil-Mar Neighborhood Center has partnered with Give Lively to securely process your online donation. This transaction will appear on your credit card statement as "Wil-Mar Neighborhood Center". This transaction is subject to Give Lively's Terms and Privacy.